Instantly boosts and refreshes the eyes for a brightened appearance. 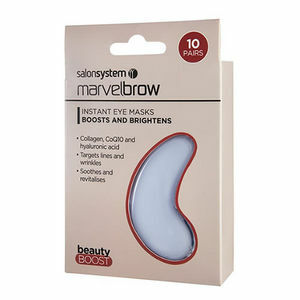 Salon System's Marvelbrow Instant Eye Masks have been designed to target wrinkles and revitalise the eyes. Made with Collagen, CoQ10 and Hyaluronic Acid, they instantly boost skin for a smooth and refreshed look.